Louisa Sadler writes in to point out Vineyard Vine's new college collection. I'm a huge fan and have been eyeing their belt section lately. This puts it over the top. 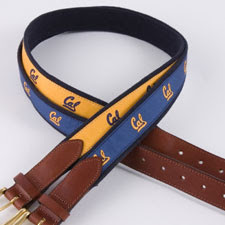 I will be wearing this belt to the Big Game vs. Stanford this year.